Water is a vital human need for without it, you cannot survive. It is essential to keep yourself hydrated, but it is not enough that you have water. You also need to make sure that what you have is clean and safe. Fortunately, you can buy purified bottled water that is sure to be safe and clean. One of the brands that you can trust is Aquafina Water, which is produced by PepsiCo. PepsiCo is an American multinational corporation which is involved in manufacturing, marketing, and distribution of foods, beverages, and other products. Below are the latest Aquafina Water prices. It was in 1994 when Aquafina was first distributed in Wichita, Kansas. Then it was introduced to the national market and became available across the United States in 1997. Then, it was also made available in the international market like Spain, Canada, Lebanon, Turkey, Bahrain, Kuwait, Oman, Qatar, Saudi Arabia, United Arab Emirates, Iran, Egypt, Vietnam, Pakistan, and India. The worldwide release of Aquafina Water was PepsiCo’s move to compete with other major players in the beverage industry. 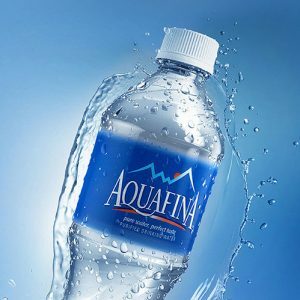 At one point, Aquafina even held the spot of being the number one bottled water brand in the US as indicated and measured by its retail sales. The production of Aquafina Water is done in more than 40 purification sites throughout the United States and also in Canada. The facilities where Aquafina Water is made is equipped with a laborious purification system that is designed to deliver only the safest and purest water. By having a big network of production sites around the country, Aquafina reduces the travel distance from their production plants to the stores, and to the consumers’ homes. 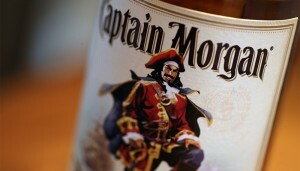 The brand uses different marketing strategies to give the product its proper place in the market. One of the promotion that PepsiCo uses is the involvement of Aquafina in the sponsorship of different sports. In fact, Aquafina Water is listed as the Official Bottled Water of the National Football League, the National Hockey League, and the National Basketball Association. Aquafina Water is available in 12 fluid ounces, 500 milliliters, 20 fluid ounces, 1 liter, and 1.5 liter bottles. The bottles that are used for water packaging are 100% recyclable as they are made from polyethylene terephtahalate (PET). The bottles are also free from Bisphenol A (BPA), which is a common and potentially hazardous chemical found in plastic. It is also good to know that Aquafina makes an effort to save tons of plastic every year by cutting the size of their labels almost in half. By doing that, they use 40% less plastic. They also reduced the weight of their packaging by as much as 15%, which allows them to help save millions of pounds of material every year. First, it is important to note that Aquafina comes from public water sources or in other words, from local municipal tap water. Then, it goes through a purification process which includes reverse osmosis, as well as other filtering and purification methods. During the purification process, chlorides, salts, and other substances which can affect the quality or add taste to the water are removed. The purification system that Aquafina uses is also designed to remove trace compounds that are also referred to as Total Dissolved Solids (TDS). Some of these compounds include carbonates, bicarbonates, chlorides, sulfates, phosphates, nitrates, calcium, magnesium, sodium, potassium, iron, and manganese. Reverse osmosis removes organic compounds that may be present in the water, but aside from that process, Aquafina also uses other steps such as carbon filtration, ozonation, and ultra violet (UV) light as additional safety measures. Aquafina can proudly say that their purified drinking water meets and exceeds the requirements set by the US Environmental Protection Agency, the US Food and Drug Administration, and other local regulatory requirements. Aquafina Purified Water has a pH level, which falls between 5.5 and 7. Aside from the Purified Water, there are also other flavored variations released under the Aquafina brand. Aquafina FlavorSplash is basically flavored water that was first released in 2005. It is non-carbonated and artificially sweetened with sucralose, which is one of the most used sugar substitute. Currently, there are three flavors available: grape, raspberry, and wild berry and all of them have zero calories. It has a pH level of approximately 3. Aquafina Sparkling is also flavored water, but carbonated. 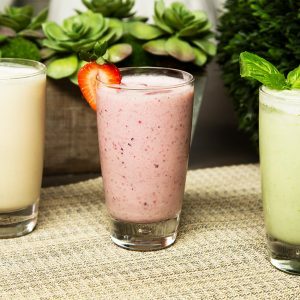 It has zero calories and zero sweeteners, only more bubbles and fruity flavors. It comes in four refreshing flavors: mango pineapple, black cherry dragon fruit, lemon lime, and orange grapefruit.